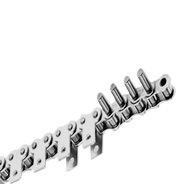 Attachments can be supplied bent or welded, according to our choice. The indicated weight is approximate. 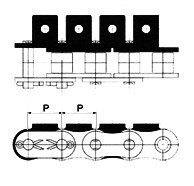 Standard Roller chain attachments are available for steel,ZICROMAT and stainless steel chains, to either European,or American standards.